Yay it's a fifth Friday in the month and we have a new and fabulous line up of tags for you. It's that extra post that allows us to create something for ourselves and for you without thinking about a theme - time to play, experiment and have fun. 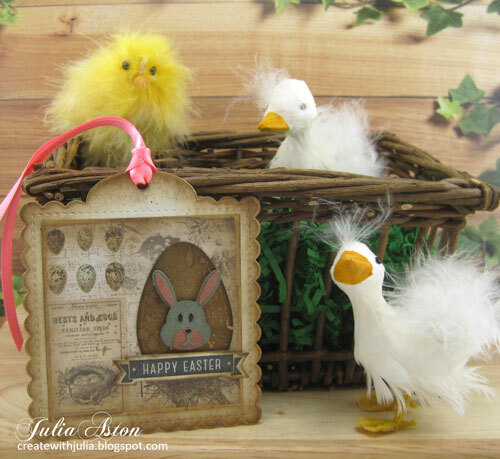 I'm already in Easter/Spring mode - so I made Easter tags to tie on or put in baskets or to give as a tag card! 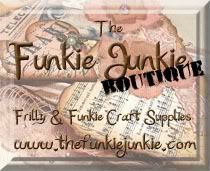 Please hop over to my blog to see just how I put my tags together - I ended up making 11 of them! 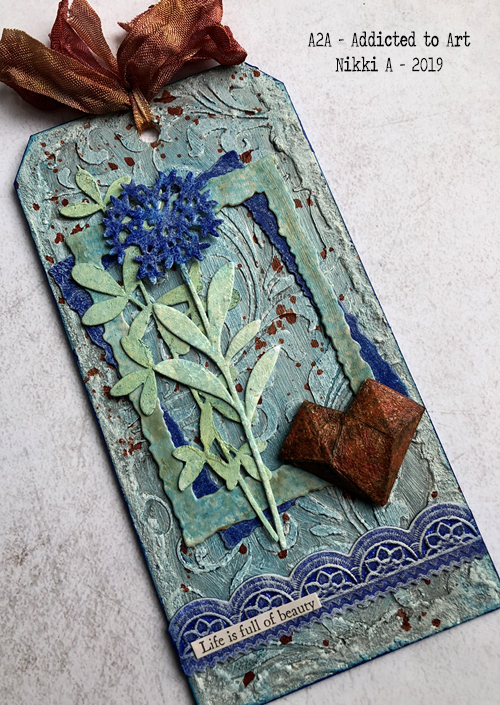 For my tag today I have been playing with textures on this MDF tag, Faceted Heart and Wildflowers. Do pop over to Addicted to Art for the the close ups and a brief summary! 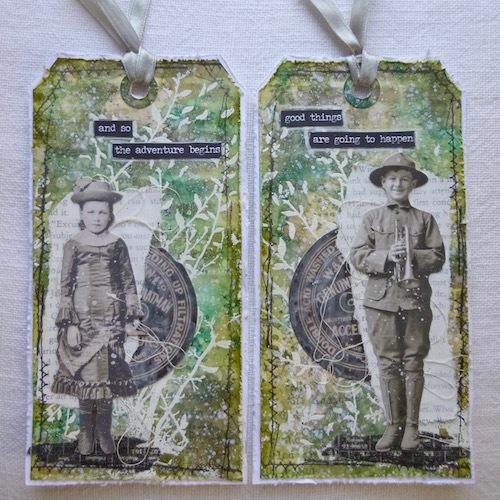 I love making tags so for this month's Tag Friday I created a double one. Like usual, there are more details on my blog. I've been trying out my new Distress Oxide sprays, and decided to make my tag with one of my first spray plays. I have details and close-ups on my blog. I seem to have lost my creative way a bit just lately (too much knitting and spinning!) and so today's Tag Friday was a good opportunity to create with some new products and some old favourites too. 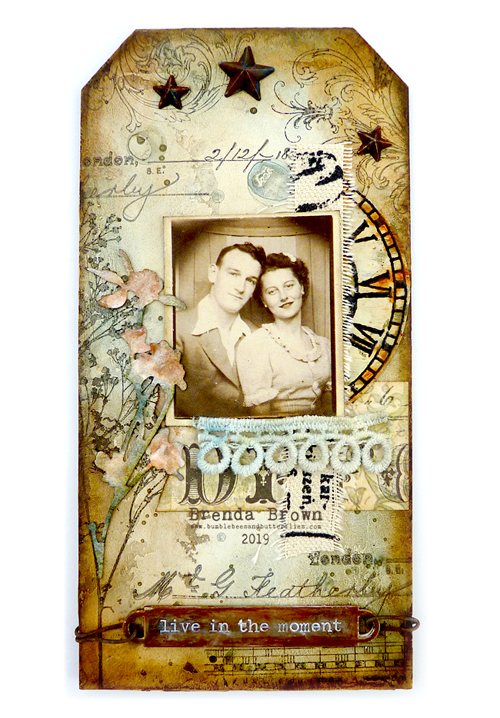 Hop on over to my blog for more details and if you would like to see how I created the background. I can never bear to miss a Tag Friday, so I'm diving in with this pair of tags - created nearly ten weeks ago when I arrived here in New York. I simply haven't had time to blog them... so that worked out pretty well when I suddenly realised Tag Friday was upon me! Do come over to Words and Pictures to see all the details. I'm so happy that Spring has finally arrived. I live in the desert but we have had a longer and colder winter this year. For me it is time for Spring to SHINE! 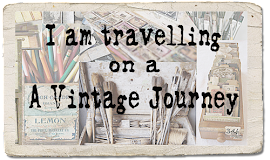 I'd love to have you visit me at my blog here to find out more about my tag. 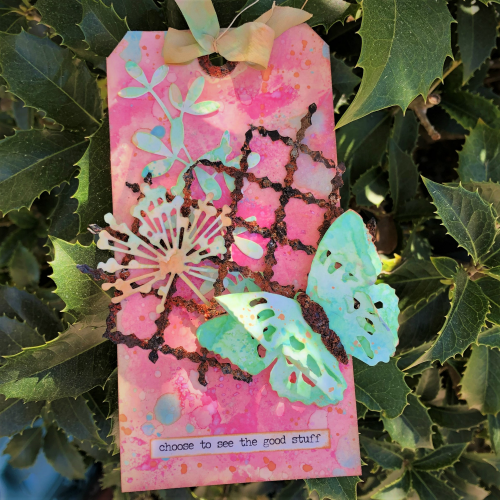 Thanks to all the Creative Guides who have taken part for this month's Tag Fridy post, I'm sure you will agree they are amazing samples for you to look through. Please go and leave them some love. Also a 'head's up' for you to think about. In next week's new challenge post there will be an invite out for anyone who would like to join our team as a new Creative Guide. Could this be you? 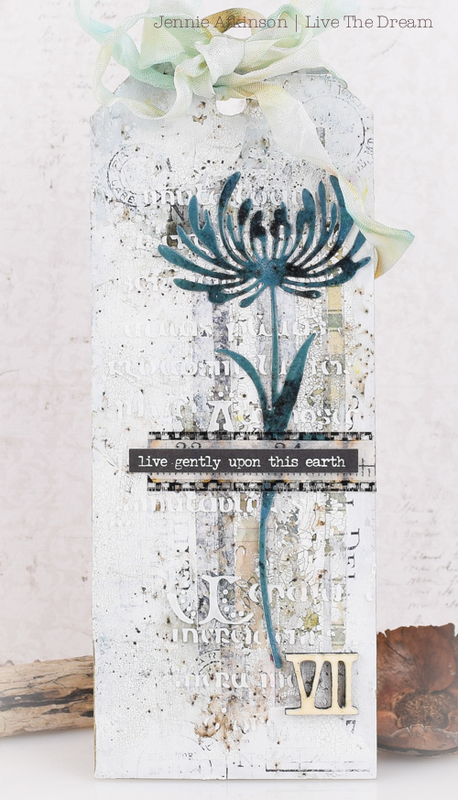 If you like creating in one or more of our preferred styles (vintage; shabby; mixed-media; art journaling; industrial, timeworn and steampunk) and you want to join a creative, friendly and supportive team please watch out for the post next Friday. In the meantime if you'd like to share any tags you have made this month or will make before the linky closes next thursday evening please link them below and yours could be chosen as a Pinworthy to be pinned to our special Pinterest Board. We use Inlinkz for you. our participants, to join the 'party' and enter your tags. Inlinkz have upgraded their linky tool and you will see there are changes to how you enter. Inlinkz have lots of support both for us and for you to find out about and understand the changes, one is that you need to create an Inlinkz account to link your work. This is from the Inlinkz website. 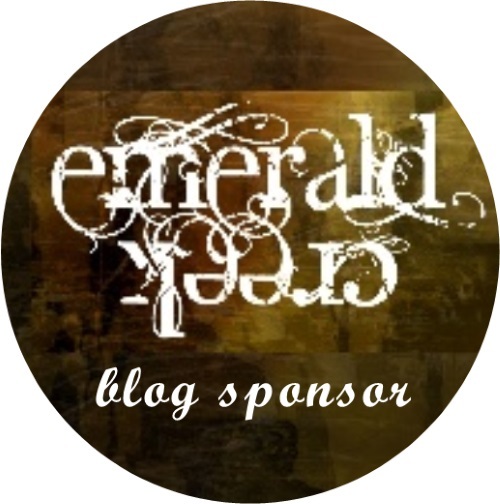 You can find their blog and lots of advice HERE. Fabulous gallery of tag creativity , ladies . Off to pin them to our board and looking forward to hopping around .